Amazon has unexpectedly released an all new line up of their Android tablet, the new Kindle Fire HDX series. The new Kindle Fire HDX features the latest graphics engine, increased memory, all new OS and a more powerful processor. 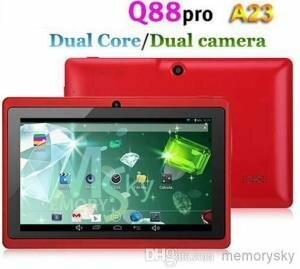 It also features an “HDX” resolution which is better and sharper than a full HD display. Amazon has also updated their 7-inch and 8.9-inch Kindle Fire tablets as well. Check out more details below. The new Kindle Fire HDX comes in 7-inch and 8.9-inch variant. The Fire HDX 7″ features a 1920×1200 resolution with 323 pixels per inch. Meanwhile, its bigger brother, the Kindle Fire HDX 8.9″ features a whooping 2560×1600 display resolution with a pixel per inch density of 339. These are significant improvements compared to the previous generations. Their respective displays are a lot better and sharper, making it easier for users to read ebooks, watch movies or interact with different apps. Not only that, the new Kindle Fire HDX 7″ and Fire HDX 8.9″ are now powered with a Snapdragon 800 Quad Core SoCs clocked at 2.2Ghz, and paired with 2GB of RAM. This makes multitasking a lot possible and smoother. Aside from the muscle power, the new Kindle Fire HDX and Fire HD now runs on the new Fire OS 3.0 Mojito, which starts with Android and adds cloud services, a content-forward user interface, built-in media libraries, productivity apps, and low-level platform enhancements to integrate Amazon’s digital content and improve performance for Kindle Fire tablets. Amazon even redesigned their latest tablets. The Kindle Fire HDX features a combination of matte and glossy finish, and is also noticeably lighter and thinner than the Fire HD. Check out more details from the specs comparison below. It’s amazing how Amazon keeps their tablets affordable as possible without sacrificing the quality of their tablets. The prices mentioned above in the specs table are their respective base prices. You can configure the Kindle Fire HDX storage, network options and if you want to come it with special offers. 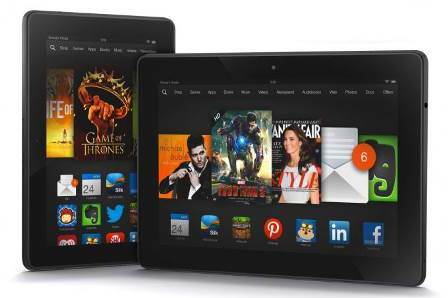 The Kindle Fire HDX 7″ will be available by October 2013, while the Fire HDX 8.9″ will be available by November. Amazon Kindle Fire vs iPad 2 vs Nook Color: What’s the best for you! RIM’s BlackBerry PlayBook Fire Sale Unleashed! Grab one now!